Royal Domesticity by Denise Rayala: I'm 6 Weeks Pregnant! 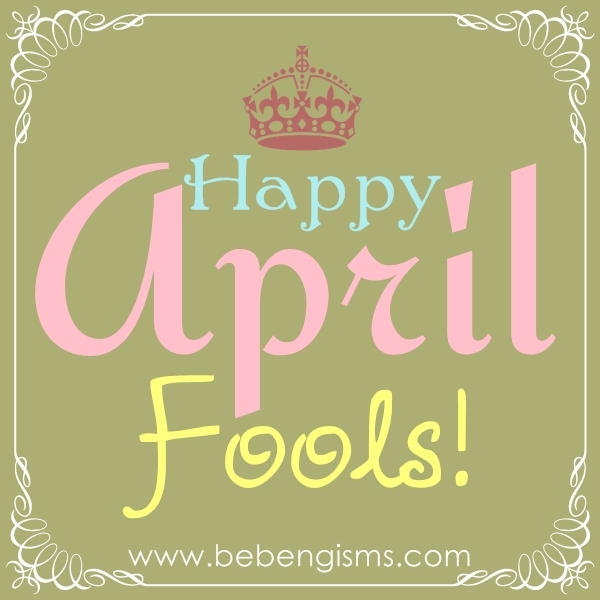 Sometimes referred to as All Fools' Day, April 1 is not a national holiday, but is widely recognized and celebrated as a day when people play practical jokes and hoaxes on each other. Kainis! Naexcite pa naman ako nung nakita ko yung title. Haha!